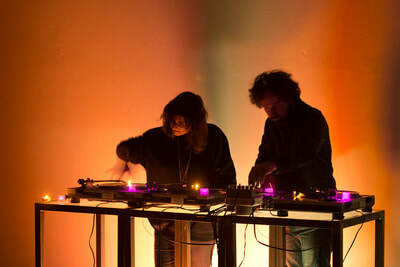 The material for the 3 LP's was created by Heestermans, Manente & Albertijn who recorded simultaneously to a separate stereo track which corresponds to each of the the 3 LP's. 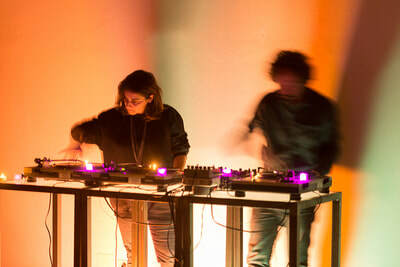 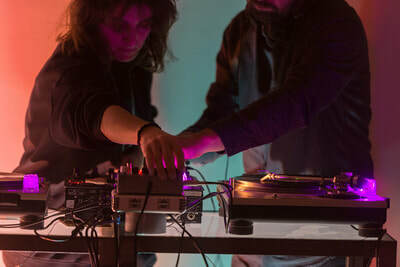 The mix of the 3 performers' simultaneous recording is remixed live by dj-ing with the 3 lp's. Besides the DJ performance, 3 Dischi exists as a live performance trio of Electric Guitar, Synth/Vocals and Electronic Drums.